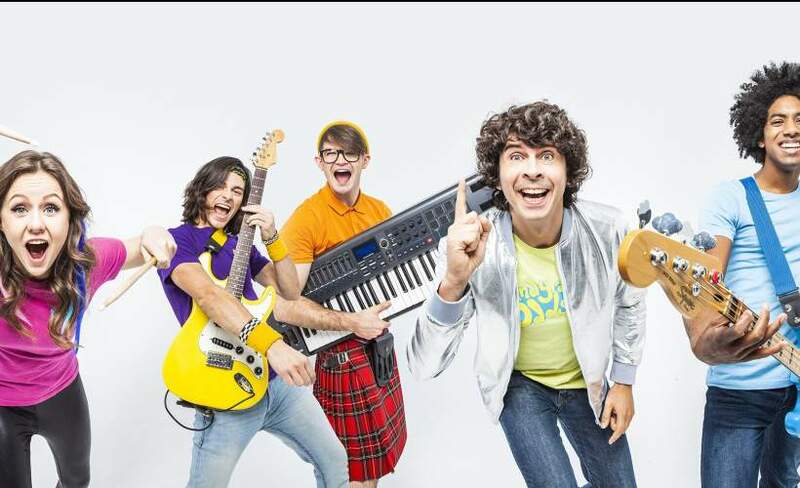 Andy Day, Star of Children’s TV, proudly presents ANDY AND THE ODD SOCKS!! Widely known for his antics tackling dinosaurs, baby animals and being on safari, much loved children’s BBC TV presenter Andy Day has spent the last 18 months playing gigs, releasing music and championing the hugely successful and far reaching ‘Odd Socks Day’ for Anti-Bullying Week with his brilliant band ‘Andy and the Odd Socks’. With their own shows taking them round the country, and multiple performances at the incredibly popular Butlins resorts, Andy and the Odd Socks are introducing kids to live music for the first time….and that’s why the kids (and mum and dad too) love them! 2018 was topped off with the Odd Socks performing live on TV as the house band on the CBeebies Christmas Special from the Alder Hay Hospital.